Description: This minimalist Madera design offers a transitional architectural look that is popular today. 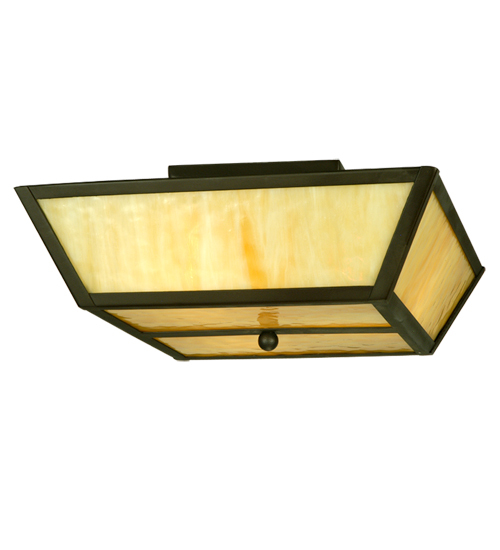 The versatile ceiling fixture features a Beige Art Glass diffuser that is enhanced with a straight line design. The frame and hardware are featured in an Oil Rubbed Bronze finish. Custom crafted in our 180,000 square foot manufacturing facility in Yorkville, NY. Available in custom sizes, styles, and colors. Dimmable energy efficient lamping options offered. UL and cUL listed for damp and dry locations.